I am feeling so much better after getting back on plan this week! After a month of eating like a pig and avoiding the scales I gained 6.5lbs from my lowest Slimming World Weight. I was feeling down, ugly, and lethargic and something had to change. So I got back on it. Last week I was back on plan and after just one week back on it I feel soooo much better! Alistair took a picture of me on the beach yesterday and for the first time in a long time I didn’t hate what I saw. Sure Meggy was hiding my wobbly bits and there’s still a long way to go but I’m heading in the right direction and that’s enough for now. Before I went to weigh in this morning I did a bit of prep so that whatever the scales said I would be ready to have a good week this week. I planned my meals and wrote my shopping list so I could do a big shop straight after weigh in. I feel like this is the key to my success. When I plan and stick to it I lose weight. When I don’t I gain. It’s really that simple. I honestly believe that meal planning and keeping a food diary are the things that really help to keep me focused. 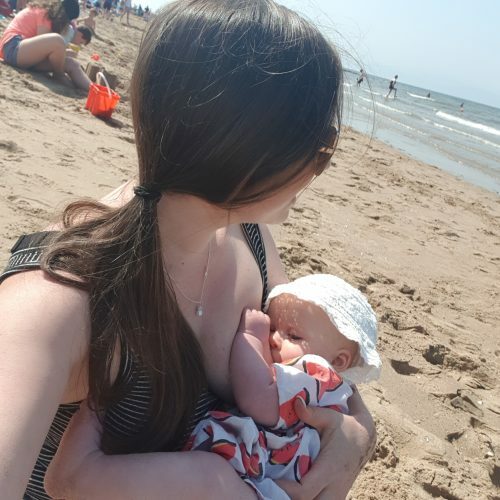 I’ve also been struggling recently with how many extra healthy extras I can have now that Megan has started weaning but is still feeding a lot. It seems to be a real Slimming World grey area. I’ve decided to stick to 3-4 a choices and 1 b choice, but allow myself the additional b choice if I feel like I need it. While I’m still losing weight I think this is going to be the best plan for me. If the weight loss slows down I’ll reduce my healthy extras again. It’s going to be trial and error I think. So I walked in to weigh in with my head held high, feeling good, hoping for the best but happy either way because I know how being back on plan has made me feel. I was so happy when I stepped on the scales. I lost 4lbs! 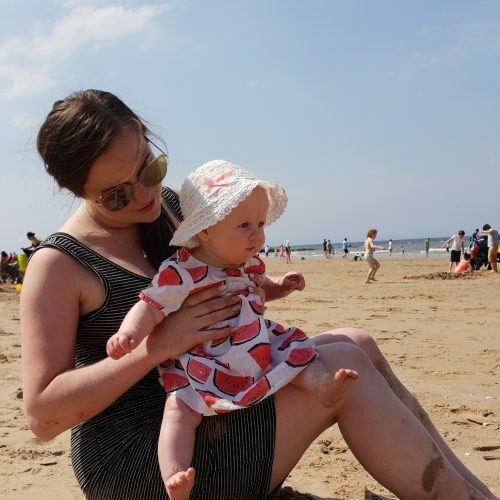 4lbs on a week when we ate out twice and had ice creams on the beach. It just goes to show that smart choices don’t need to mean staying in and eating lettuce, you can enjoy yourself while staying on plan and losing weight! I’m feeling even more motivated for the week ahead now and, after a big shop post weigh in, I have everything I need for another successful week. I did most of my shopping at Aldi, as usual but got some Weight Watchers wraps (heB) and Fibre One bars (4syns each) from Tesco. In total I spent £50 but this also included nappies, wipes, toilet paper.. you get the idea. I’m not planning which day each meal will be on to allow us some flexibility but these are the meals I have ingredients for this week. I’ll link to recipes or similar where possible but they’re all from the Slimming World Extra Easy and Family Feasts on a Budget cook books. I’ve only planned 6 meals as usually we cook large quantities so on the 7th day we will probably have leftovers from one of the meals above. For breakfast I will be sticking to good old egg on toast with mushrooms and tomatoes, spinach egg and tomato wraps or overnight oats. For lunches I will probably be having jacket potatoes, omelettes or pasta. The other change that I think has helped this week is drinking a lot more water so I’ll be continuing with that this week. 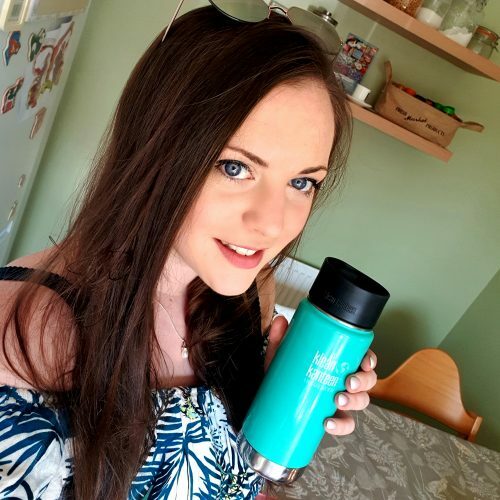 It’s been so much easier to stay hydrated by taking water or a cup of tea out with me wherever we go using my Klean Kanteen. I’d highly recommend them! It keeps hot drinks hopt and cold drinks cold for up to 10 hours, perfect for the crazy, ever changing British weather! Cheers to a good week all round! 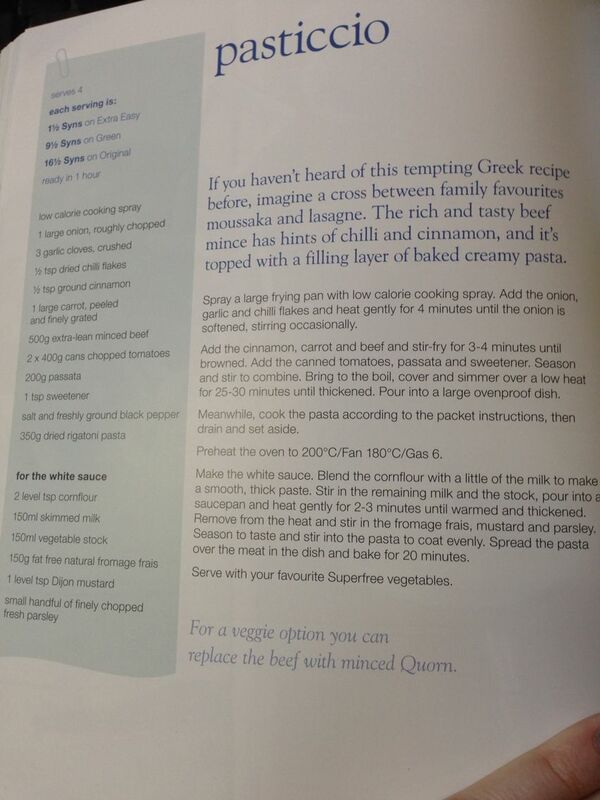 What is your favourite Slimming World meal? I’d love you to share! I’m always looking for new ideas to keep staying on plan exciting and fresh!